It’s the first of the month, and you know what that means: time for the Merry Little Christmas October Challenge! 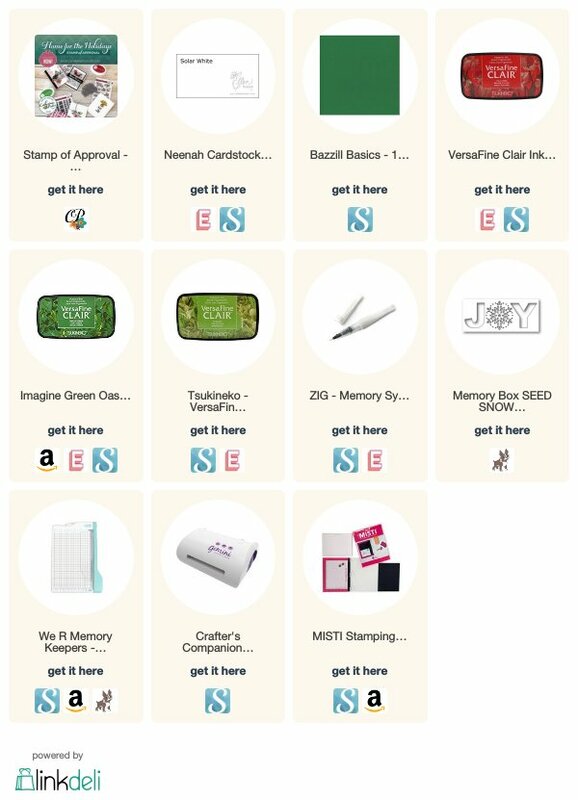 This month’s theme is Anything Goes, which is my favorite since I get to rummage through my holiday stamps and work with products that haven’t seen some love in a while. That was my plan, at least, until I received the latest Stamp of Approval box from Catherine Pooler in the mail a couple of days ago. 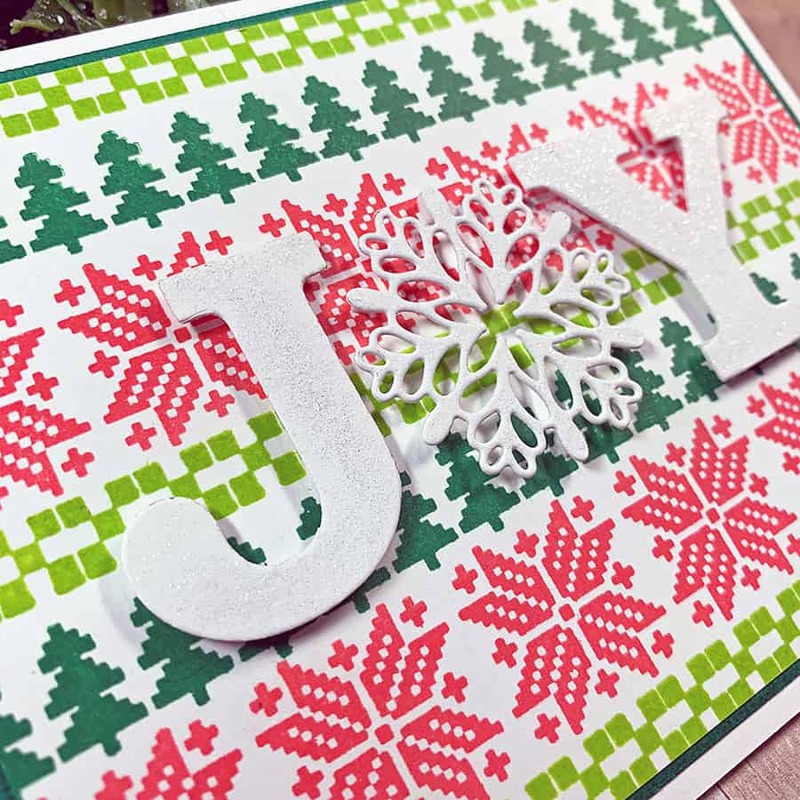 It’s a holiday-themed box and has some lovely stamp sets in it! I used one of them to create my card for this month’s challenge. I was undoubtedly channeling a Fair Isles sweater while stamping this one. Don’t let the design fool you; it was crazy trying to get everything straight. 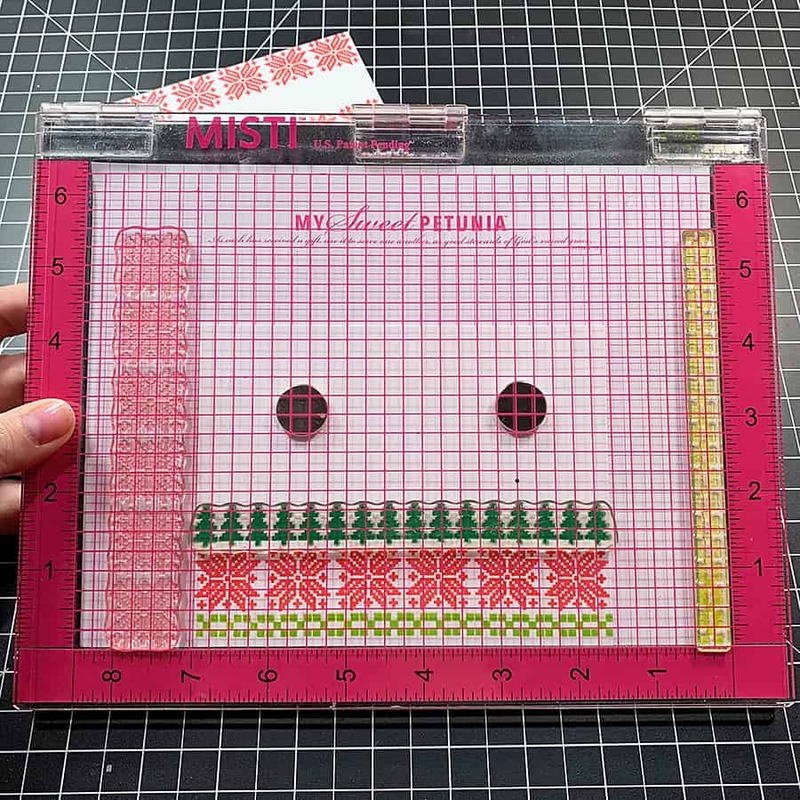 I finally settled on this method – one stamp on each edge of the MISTI, and then I just moved my cardstock around. I won’t lie, it took four tries before I succeeded-ish. For the sentiment, I pulled out one of my most favorite holiday dies, Snowflake Joy by Memory Box (retired, but I linked a similar one for you below). After cutting it out of White Cardstock, I adhered the letters to my card front with Foam Squares. Then, I added a little sparkle to them with a Clear Wink of Stella Pen. 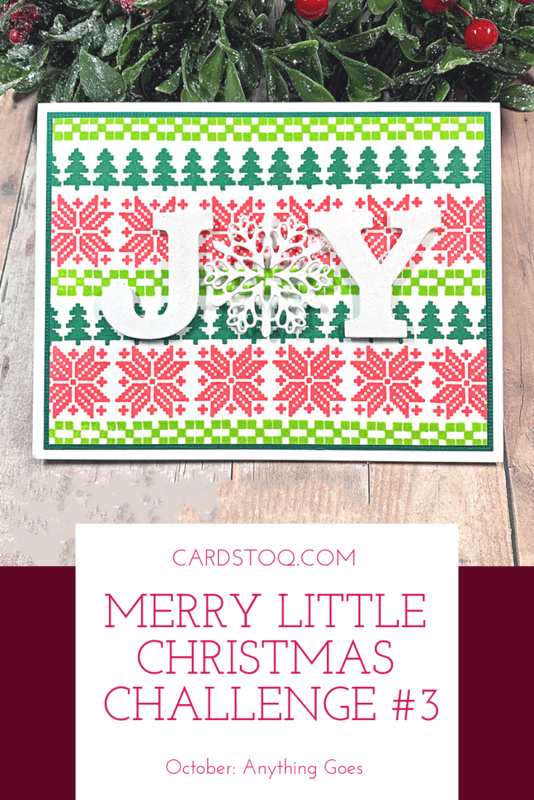 Thanks for taking a look at my project for the Merry Little Christmas October Challenge today! If you liked my card, please share the love by pinning to Pinterest! Here’s another card I made with a stamped background that I bet you’ll like!